Yesterday we launched a Wink satisfaction survey, to follow up with all of our past Wink customers about their experience, so we could learn how we can continue to improve the product and experience going forward. Below are the top 10 things we learned. That’s right, over 1/3 of you are looking to boost both your brows and your lashes, as you should. Rock those lashes and brows, ladies. 2-in-1 for the win! 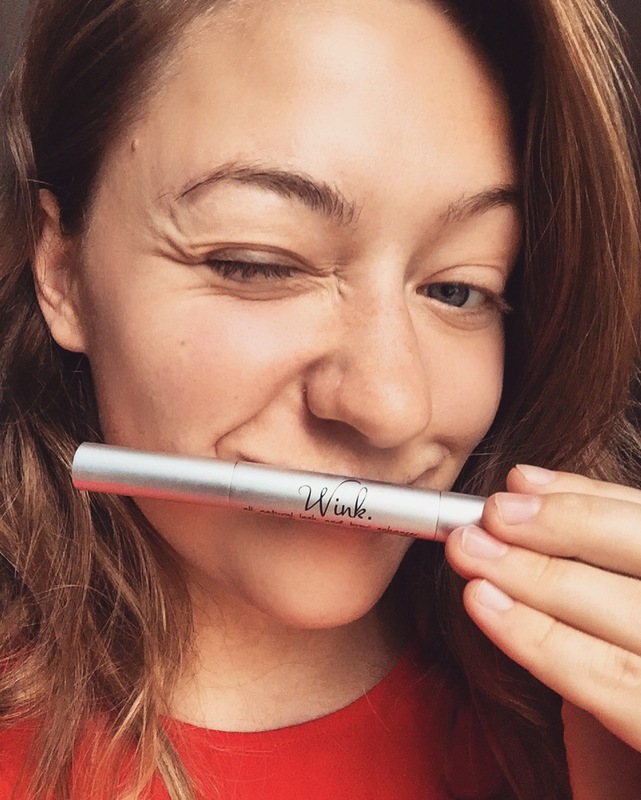 We hate to be the bearers of bad news, but if we don’t tell you, you’ll be disappointed with your results later: Wink is not meant to be a lash lengthening product. 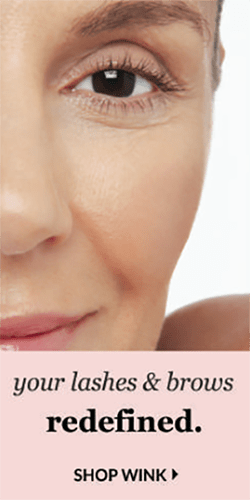 Some of you may have experienced lengthening effects from the conditioning formulation–which is fantastic–but this is not the intent of the product, just a happy side effect of applying essential fatty acids to your lashes or brows. Essential fatty acids have been shown to increase prostaglanoid production in the body of those with a deficiency. Prostaglandins/prostaglanoids stimulate dormant follicles, which could lead to fuller lashes and brows (Learn more here). We are in the business of boosting bold brows and lush lashes. That’s it. If you are not satisfied with the results, you may at any time email us at customerservice@amaliebeauty.com for a full refund. There is no expiration on this money-back guarantee, no code or receipt required. We just need to be able to look up your name, email or order number in our database, which goes back to Day 1 as a company. This is a really awesome point that we are very proud of. Natural producst are tough. Our bodies all work differently. Thank goodness there’s no universal law about the conservation of lash (nerd joke). Fuller lashes and brows for all is a great thing. Rock on, Wink fam! This is good news and a good confirmation for us. That being said, there’s still 2.5% of unhappy customers. We need to fix that. Please email (customerservice@amaliebeauty.com ) or call (1-888-91-AMALIE) anytime so that we can help resolve any issues you may have. Good vibes, people. We’re looking for good vibes and great brows all around. In order to keep offering you all of this–especially in light of the recent undertaking of traveling to China for a new packaging/factory–we need to create a margin for ourselves. Otherwise, there will be no Wink. …NOOO!!! We recently increased the price of Wink from $39 to $40, to reflect that our brand is not a discount brand. Wink is not a “deal”; You are paying for quality and getting quality in return. Additionally, we did change from a 3 month’s supply to a 2 month’s supply. This is a paradigm shift, we know. Again, you are paying for quality. 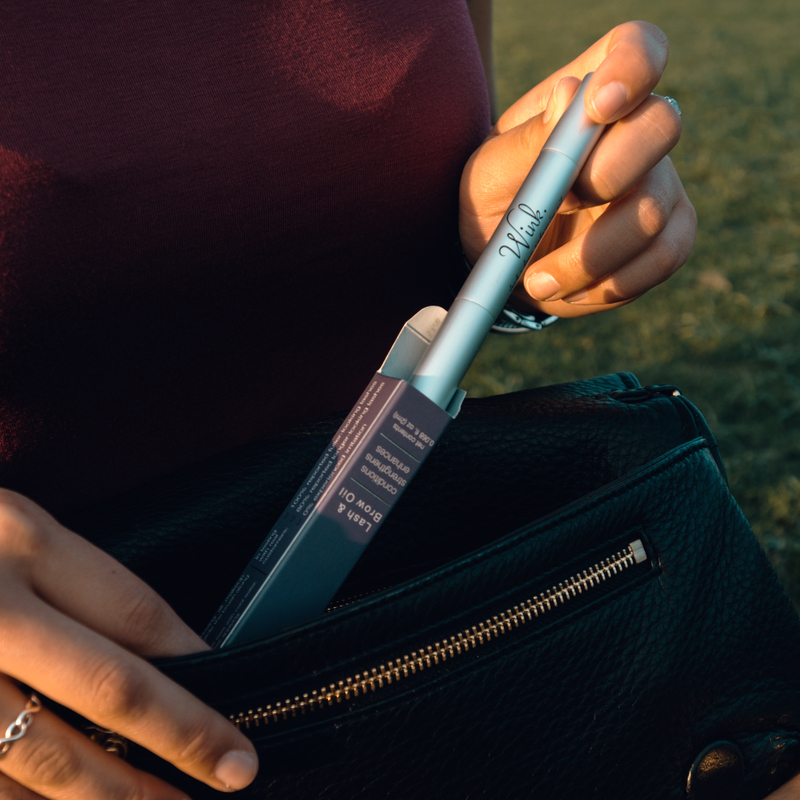 We tested 7 different factories’ bottles and couldn’t find an applicator that would dispense 180 applications reliably (that’s 90 days of 2 applications: one application per eyelid / eyebrow). The bottles just don’t have it in them. So we found the most reliable bottle we could, and promised exactly what it could do. So did we! We are happy to say goodbye to it, too. Nobody needs flaky friends. If you didn’t know, yes, we have an awesome new applicator which we spent months and months searching for and testing. Our customers even tested it, too. The new applicator is here and in-stock. Again, The results are not where we want them to be just yet, but we’re making progress. Thank you for your patience! Did we miss anything? Weigh in below!